Tender flavorful smoked baby back ribs cooked to perfection in your electric smoker. 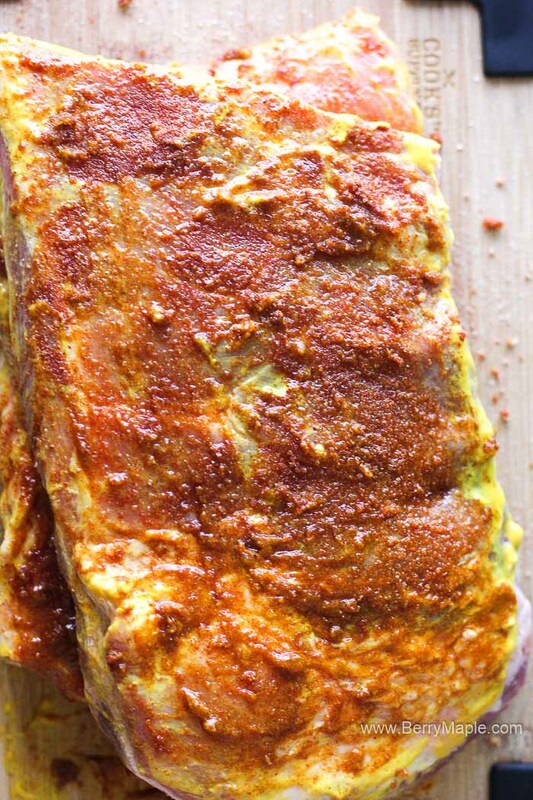 You also can use st. Louis ribs for this recipe, just don’t forget the best rub mix! Pair it with some side salads or vegetables and call it a fantastic dinner. Preheat your electric smoker to 225 degrees with hickory wood. I use a Masterbuild smoker and it works perfect. Yellow mustard is important for this recipe. Coat ribs with the mustard , it will help the rub to stick to the meat better. Prepare the rub (directions below) and coat ribs with it. Now, place ribs in to your electric smoker for 3 hours. 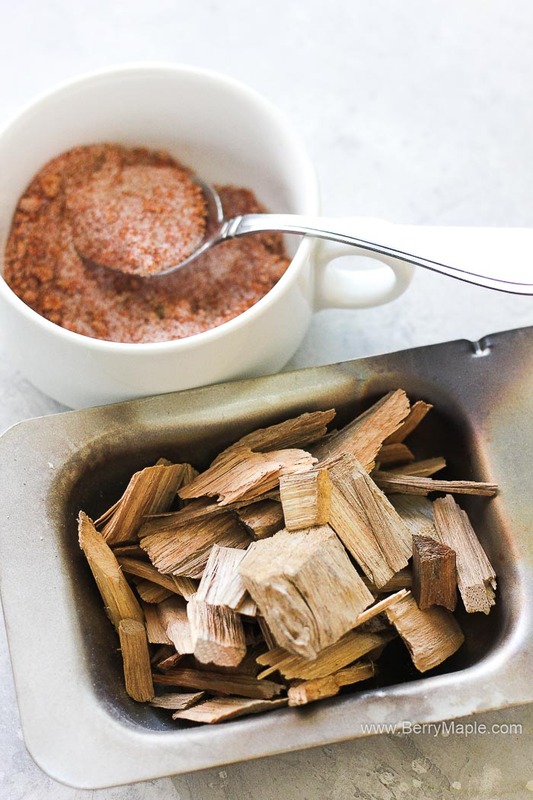 Add more wooden chips as needed for maximum flavor. 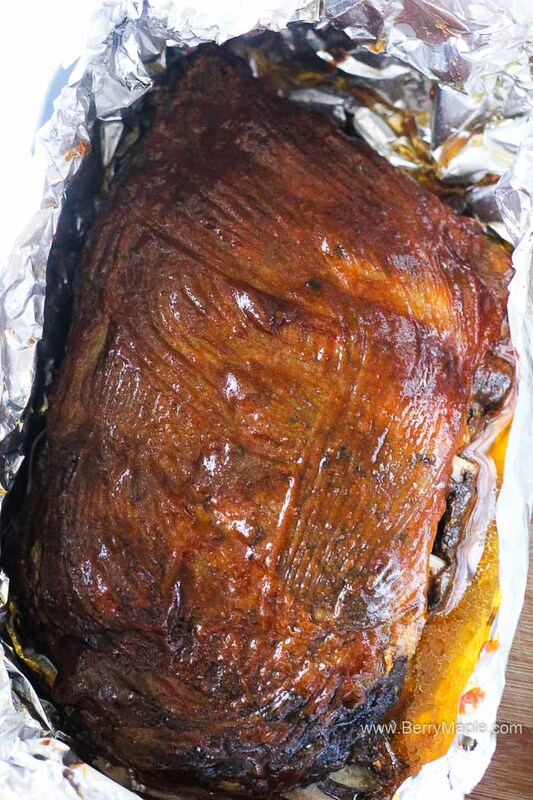 Take ribs out of the smoker and wrap each slab in the aluminum foil ( i used a heavy duty foil). 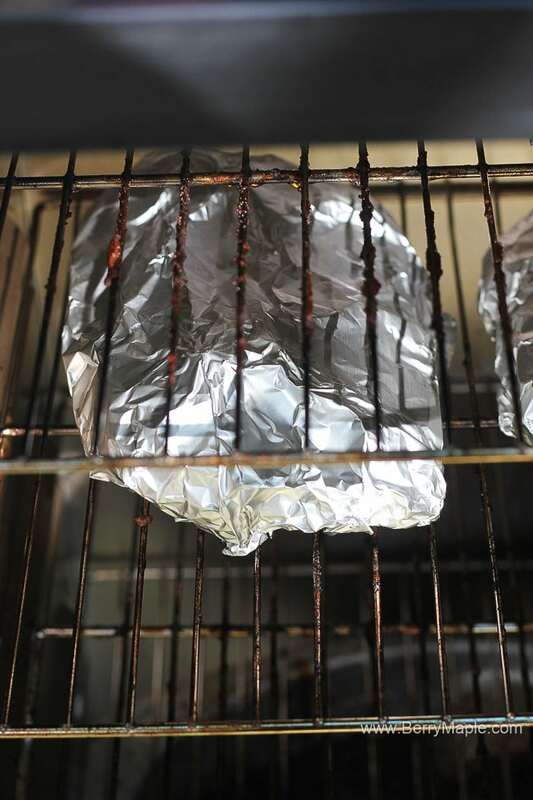 Add mixed apple juice with brown sugar mixture into each foil pocket, cover each slab with more foil and place back into the smoker for 2 hours. No wooden chips needed this time. Unwrap the ribs and coat with BBQ sauce of choice. Cook uncovered for another hour or so. Serve with avocado potato salad! 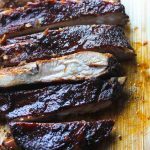 What kind of ribs are best to smoke? My favorite kind of ribs for smoking is baby back ribs. They require about 6 hours total of smoking time and come out delicious. The white membrane can be removed or left in place, its a personal choice. Avoid ribs that have been pre-marinated or filled with salt water/brine or other additives. 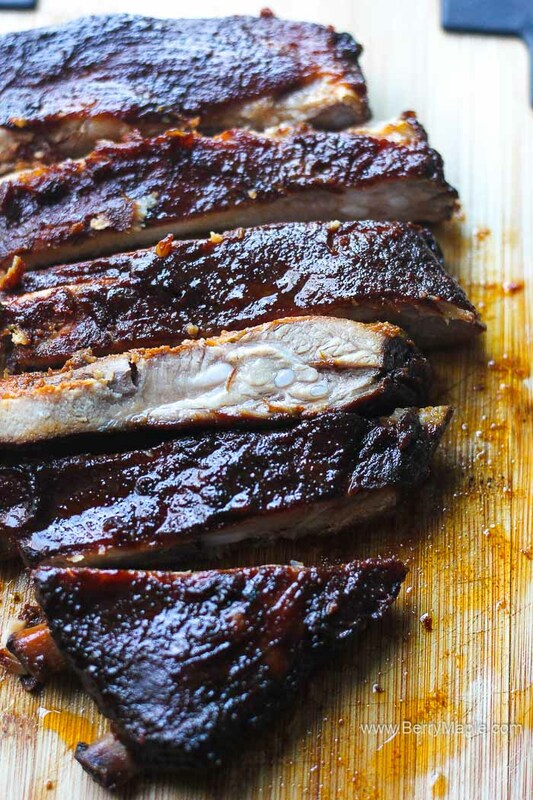 Spare ribs comes from the fattier belly side and usually take a bit longer to cook. 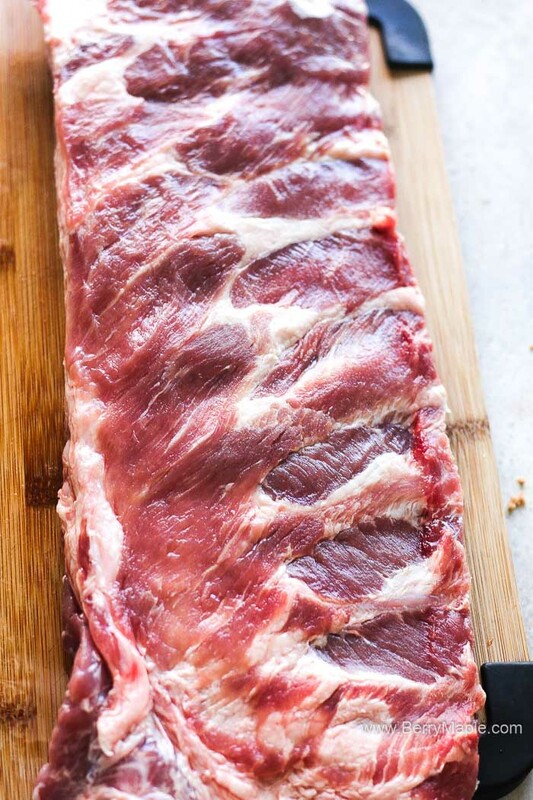 Like baby backs, the ideal rack of spare ribs is meaty with lots of streaky white fat and no shiners ( shiner is a bone you can see through the meat). The picture above shows ribs right after i brushed them with some BBQ sauce and it was ready to go back in to the smoker for another hour. Here is a helpful pork internal temperature chart to make sure your pork cooks perfectly. Or your can just check by pulling the bone- if it comes out , they are perfect! Also try another delicious electric smoker recipe- Smoked orange chicken quarters! Yum! Tender flavorful smoked baby back ribs cooked to perfection in your electric smoker. 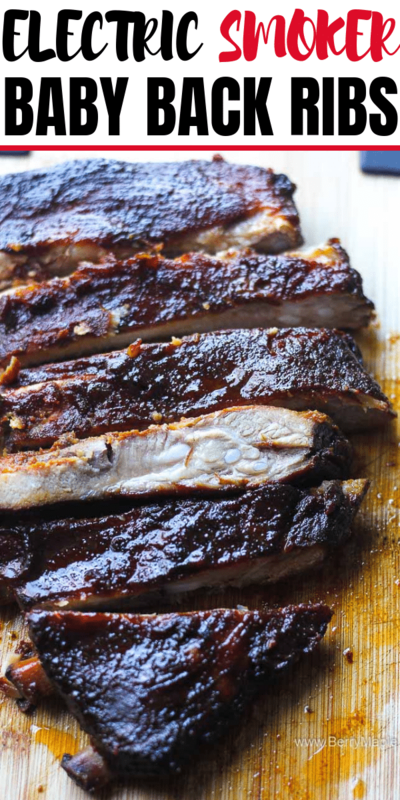 You also can use st. Louis ribs for this recipe, just don't forget the best rub mix! Pair it with some side salads or vegetables and call it a fantastic dinner. Preheat your electric smoker to 225 degrees with hickory wood. Slice a slab of ribs in half. Cover each piece with yellow mustard. 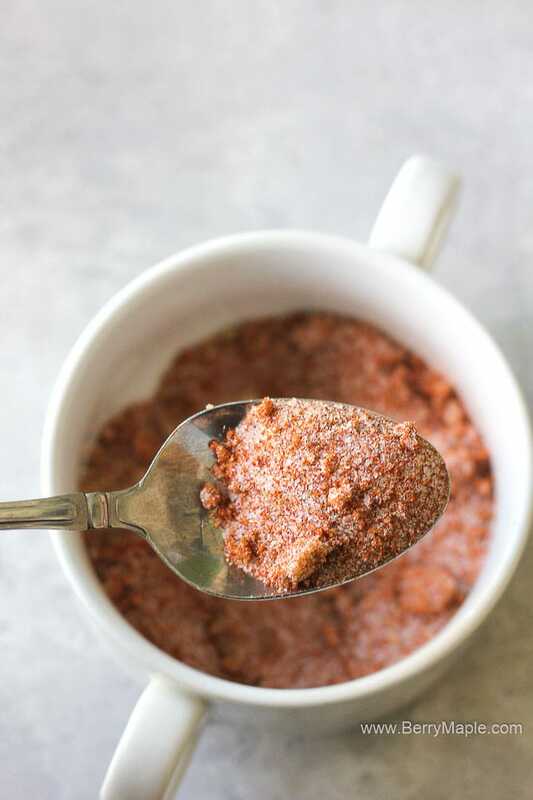 Then make a rub- mix all the dry ingredients listed above in RUB section in a separate little bowl. Cover ribs with the spice rub. Place ribs in the smoker for 3 hours. Once done, take them out of the smoker. Prepare some heavy duty foil. Mix 1 cup brown sugar with apple juice. Wrap ribs in foil, separate apple juice mixture in two and add in each foil pocket. Cover with another piece of foil(each) tightly and put back in to the smoker for another 2 hours. Once done, take ribs out, take the top foil out too. Brush both slabs with BBQ sauce and send back to the smoker for another hour, uncovered. Its a long recipe but worth the wait. Take ribs out, cut and serve.